Adults on Mission - KENTUCKY WOMANS MISSIONARY UNION, INC. 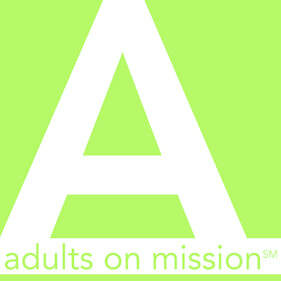 Adults on Mission is the missions education organization for adult men and women. Contact Wanda Walker at Kentucky WMU for more information about missions for adults or to learn more about starting Adults on Mission in your church! Meet missionaries, be inspired, network with other missions-minded believers! Leadership training offered every other summer. Adults do not need to be a member of Adults on Mission or Women on Mission to participate in these events. Bring your friends! Leadership training and development for Adults on Mission Leaders is provided at Excel every other summer. Monthly updates to this site include the latest news on missionaries, missions work, and new projects among unreached peoples. This missions education resource for adults, offering 12 months of materials all in one place, is excellent for starting adult missions education in the church. NewHopeDigital.com is an innovative Web venture from New Hope® Publishers that provides readers and retailers with fresh, magazine-style content from top authors in multiple digital formats.